Finding irreplaceable diamond rings is never an easy task. With time and patience you will find that special ring that complements your occasion. Getting wholesale diamond rings is an even more challenging task. 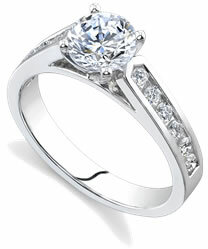 That is why at Novori you can shop online for the perfect diamond ring at a competitive price. The cost of a diamond ring is determined by the diamond quality and the setting. When shopping for diamonds, you want to choose certified diamonds that meet the strict quality standards from a reputable gemological laboratory. At Novori, we use diamonds that are certified by the GIA and the AGSL (or EGL in USA) because of the excellent reputation of these laboratories. This certification ensures that customers who shop at Novori are getting the quality that they expect. Wholesale diamond rings can be just as exceptional as retail diamonds provided that they meet the same quality standards. When you buy diamond rings wholesale, you are cutting out the middleman and keeping the markup profits for yourself. Before you make your final diamond purchase, take some time to try our online shopping and browse through our exceptional selection of diamond rings. Shopping online will assist you in making a wiser and more informed decision.